Taught by Eliot Cowan, the founder of The Blue Deer Center and author of Plant Spirit Medicine, this experiential week-long course in Plant Spirit Medicine is designed for anyone who’s interested in exploring the transformational properties of the natural world. "We don't have to find new ways to invent ourselves...This world is a place of ineffable mystery and we belong to it." Since the beginning of time, shamans looked to nature to understand the realms of wisdom and healing. Drawing on that wisdom today, Plant Spirit Medicine and the ancient shamanic practices gives people the tools needed to bring healing to the spirit, bring healing to others, and find the true path for the soul’s journey. 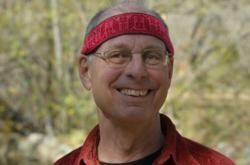 Instructor Eliot Cowan is not only Blue Deer Center's founder, he is a fully initiated Tsaurirrikame (shaman) in the Huichol Indian tradition. This experiential course in Plant Spirit Medicine is designed for anyone who’s interested in exploring the transformational properties of the natural world. It’s not necessary to be a healer or have interest in becoming one. Anyone who has interest in discovering themselves and participating in the process is welcome. As stated by Cowan himself, "suddenly it felt urgent to discover the world, to find my place and my belonging, to find who I was, and where I was, and what there was to do..."
Eliot Cowan began the study and practice of herbalism in the 1960’s and completed a Master of Acupuncture degree with J.R. Worsley in England in the 1970’s. He also offers Plant Spirit Medicine practitioner training courses, continuing education for PSM practitioners, healing camps based on traditional Huichol shamanic healing, and animal totem courses. Connecting to to the Divine Natural World - An Introduction to Plant Spirit Medicine and the Roots of Shamanism course topics are grounded in the premise that “Believing is Seeing and What You See is What You Get.” Categories include: The World Forces, Emotion, The Voice of the Seasons, Learning Plant Spirit Language, Plant Wisdom and How to Hear It, Dream and Reality, Ancestors, Soul and Spiritual Path, and Time Around the Fire. Participation in this course reminds us that we are children of the world, and Mother Earth has much to share with us. Go here for pricing and to register. Blue Deer Center provides an important setting for teachings and practices that promote balanced relationship with the natural world. They particularly welcome ancestral approaches to healing, ritual, and retreat. The Center's origins are rooted in the Huichol shamanic tradition and living connection to the universal and sacred spirit of fire. For more information on the Blue Deer Center, visit our website at http://www.bluedeer.org or call 845-586-3225.